At 1800 Roof Plus, we are dedicated to providing folks of New Jersey with siding and roofing services that they can count on. When it comes to roof repair, installation, siding repair, gutter services, and even home window installation, we get that most people don’t think of 1800 Roof Plus, or any roofing company, too often. But we are here when you need us, offering our roof installation and repair services to Jersey shore companies that include Brielle, Spring Lake, Wall Township, Brick, Sea Girt, and others. Whether you are in need of residential or commercial roofing services, we’ve got you covered with affordable rates and quality workmanship here at 1800 Roof Plus. We pride ourselves on our commitment to providing customer satisfaction by doing business the right way. That can look like a lot of things. 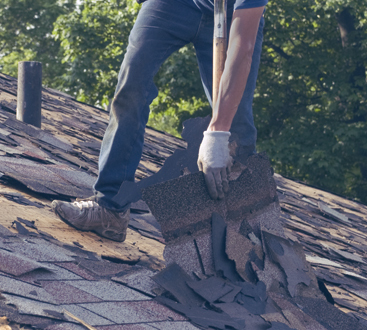 For some, it’s giving them our honest advice when it comes to the repair vs. roof replacement conversation. For others, it might mean getting back to them with a quote on the same day that they called, because they are working against the clock for whatever reason. But for everyone, customer service means sticking to our word, and getting the job done on schedule, and within our predetermined budget. Today’s post is going to help our readers sift through the pros and cons of various roofing materials. What is the most affordable choice, in the short-term and the long-term? Why would someone choose a metal roof? Which roof lasts the longest? What environments can handle clay tile? 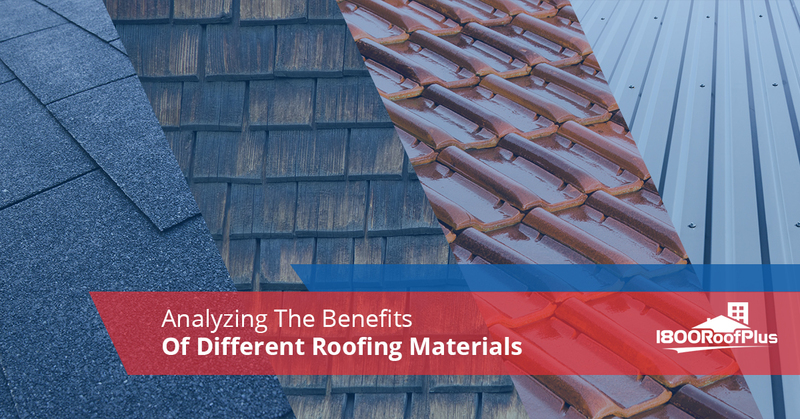 Questions like those listed above will be answered below, so keep reading if you are interested in analyzing the benefits of different roofing materials, brought to you by 1800 Roof Plus! Most famously known for being the perfect finishing touch on Italian, southwestern, and the Spanish Mission architecture, you don’t see clay tile roofs too often in New Jersey. For some people, clay tile represents great value because of its longevity (not to be confused with durability), paired with other assets such as the fact that it won’t burn, rot, or get infested by insects. Clay tile is typically more expensive and heavier as well, so any house that uses clay tile roofing usually needs more support. The reason why we didn’t call clay tile roofing durable above is that clay tile is best used in warmer climates; with how cold it gets in New Jersey, it’s probably not a good idea to have clay tile. The consistent freezing and thawing can easily damage clay. However, if you have a well-constructed structure in a warmer climate than here, clay tile roofs can last 50 years or longer! Concrete tile is a modern roofing material, and the term encompasses a range of shingle and panel types. Concrete panels and light tiles that have been made from cement products are becoming increasingly popular. Some are made from thin metals, some from plastics, and some recyclable material. So it is difficult to generalize about a roofing material category that has a good deal of diversity within itself. Usually, however, concrete tile roofs are durable, low-maintenance, and highly resistant to insects and rot. Some folks are even able to mimic the appearance of other roof types with their concrete tile. So if you are dying to get that clay tile look in New Jersey, right there is your solution! Asphalt roofing shingles are far and away the most popular kind of shingles around. Composed of ceramic granules, asphalt, and fiberglass, asphalt shingles are easy to install and are the most affordable option you are likely to find. And it’s not like you’ll necessarily be needing to get a roof replacement within ten years either, as many asphalt roofs can last well over 30 years. However, something to consider if you live on the ocean is that asphalt roofing shingles are typically vulnerable to high-speed winds, making them a less-than-ideal choice for many New Jersey residents. Slate roofing material is quite similar to clay tile roofing material, in that they are beautiful and natural. Slate is usually a more upscale choice, but can really class up any home on which they are installed. In terms of the benefits of slate roofing material, people find that they are quite similar to clay tile roofs. Their longevity and appearance are commonly cited as advantages, along with the ability to choose from a wide variety of patterns and slate types. However, the drawbacks are largely the same as well. Sometimes slate roofs require extra structural support, and can be fragile enough to be broken simply by someone walking on it. This makes necessary tasks like gutter cleaning and roof repair much harder than they would be on your average roof. Metals roofs are making a big comeback across the country. Specifically, standing-seam steel roofing is the most popular metal-roofing style out there. In case you were wondering, stand-seam steel roofing refers to the edge of one metal panel connecting to another section of metal roofing. The lines and edges are not always uniform, which creates a unique and trendy look. Metal roofs can resemble most any kind of style, though, so don’t feel pigeonholed into one look. In terms of their physical attributes, metal roofs are – get this – durable, fire-resistant, and virtually maintenance-free. Metal roofs are also energy-efficient, with many homes now being able to capture solar energy using metal roofing material. In fact, a Florida study found that homeowners who switched to metal roofs saved an average of 20 percent on their energy bills. Steel roofs are environmentally-friendly as well. They can be installed over whatever kind of roof already exists on a given structure, and are typically over 50 percent recyclable in terms of manufacturing materials used. Wood shakes usually last just 15-20 years. But on the other hand, they do bring any home a natural feel along with their own unique look. Homeowners have more control with wood shakes than any other roofing material because you can control variations such as type of wood, thickness, type of cut, and color. Some benefits of having a wooden roof include the fact that it insulates your home well, in addition to allowing your home to breathe. With wood shakes more than any other roofing material, you want to find a quality roofing contractor whom you can trust. Installing wood shakes isn’t as mindless and easy as asphalt shingles, for example, so it takes some finesse. Luckily, if you find yourself in New Jersey, you can call 1800 Roof Plus as your local roofing contractor. Further, wood shakes should be selected from a shake mill that can also be trusted. Not all wood shakes are created equal. Keep that in mind if you are going the wood shake route. We here at 1800 Roof Plus are happy to walk through this process with you, as well. 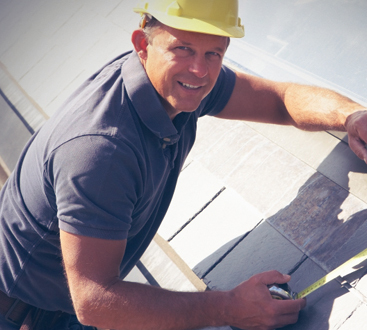 Whether you hail from Wall Township, Sea Girt, Brick, or even hail from beyond the Greater Jersey Shore area (into areas like Trenton, Princeton, or Jackson), we are a local roofing company that cares about our clients. We have a passion for turning our first-time customers into our lifelong clients here at 1800 Roof Plus, a division of Lombardo Construction. And no matter what kind of roofing material you have in mind for your next roofing installation project, we provide you with a free consultation along with our commitment to offering exceptional customer service. Folks come to us usually for just one service, but often give us a call back weeks, months, or years down the line, looking for local gutter repair, siding installation nearby, and the like. If you are in need of any of these services in New Jersey, give us a call today to schedule your free consultation. We would love to hear from you!